Subway has announced that it will begin sourcing antibiotic-free meat for their sandwiches. Consumers are concerned about antibiotic use in farming contributing to the increase in antibiotic resistant bacteria. Apparently, Subway is making this switch to satisfy customer demand. This decision has been met with uproar in the agriculture world. Farmers are concerned that marketing Subway’s meat as “antibiotic free” could help to perpetuate the assumption that conventionally farmed meat contains antibiotics. I know that this is not true and I hope that consumers realize this as well: an animal cannot be slaughtered before the drug specific withdrawal time after antibiotic treatment has passed, which is the time it takes for the drug to be excreted from the animal’s system. It seems that Subway is marketing meat from animals that have NEVER been given antibiotics. Unfortunately, this claim is also drawing assumptions and claims from farmers that are, quite simply, false. The most common assumption is that animals that are fighting bacterial infections on an antibiotic-free (or organic farm, too, for that matter) are left to suffer or are euthanized rather than treating the sick animal with lifesaving antibiotics. In my own experience on our organic dairy farm, I also know that this assumption is not accurate. A cow that is sick is treated. Period. On an organic dairy farm (in Canada), cows can be treated with antibiotics twice in the period of one year. If another treatment is needed, the cow’s milk is no longer considered organic. A cow that has been treated with antibiotics even once can never be slaughtered as an organic animal. As farmers, we do whatever we can to keep our cows healthy, but when or if this fails and our animals contract an infection that they are unable to fight, we do not hesitate to do whatever it takes to have that animal return to health, including administering antibiotics, if necessary. If that means that she cannot be sold as an organic slaughter animal or that her milk is no longer organic, so be it. Farming organically does not mean that we care less for our animals than our conventional neighbours. Rather, we care just as much even though we farm under a different banner. We would never allow a cow to suffer by withholding treatment just to maintain an organic product. Obviously, the claim that antibiotic free or organic animals are left to suffer if they are ill is unfounded, as both my own farming experiences and Dr. Creelman’s extensive veterinary proficiency show. It’s regrettable that this claim has been flooding my social media channels since Subway’s decision was announced. It’s even more regrettable that so many farmers are sharing these claims without verifying their validity. I think it speaks to the spirit of the times: we are farming in an era of distrust and of pitting farming types against one another. It’s incredibly unfortunate that this culture of pitting farmers and farm types against each other continues to grow. And I’ll be the first to admit that various marketing schemes only fan the flames of these fires. Big corporations looking to buy into the niche markets seem to feel the need to denigrate other types of farming practices in order to promote their own products. And it shouldn’t have to be like this! Truthfully, I don’t know how to fight this, besides asking these companies to rethink their methods of advertising. If we all speak up, politely but firmly, perhaps our voices will be heard. I’m not sure how Subway is planning to market their antibiotic-free meat. I can only hope that they will do so without throwing conventional farms and farmers under the bus. I guess we will see in time. But what can we, as farmers, do to stop this repeated perpetuation of certain farm types being “bad” from carrying over into our own agricultural community and causing antagonism and rivalry? I believe that to begin to fight this culture of fear, we need to stop feeling the need to compete with one another. There really are more than enough consumers to go around! 😉 If a farmer decides to manufacture their product to fill a niche market, then we should allow them to do that without judging them or their practices and without trying to undermine their decisions and businesses. Additionally, deliberately creating fear about another type of farm practice must also end. And that goes for all “sides” (and I hate that there are “sides”) – conventional, natural, antibiotic free, organic, etc. Instead of creating fear about or questioning the legitimacy of another type of farming, explain the practices you employ and why you use them on your farm, while allowing other types of farmers to tell their own story. I’ll continue to call for us to work together, to collaborate, and, most importantly, to support each other, and I hope you’ll join me in spreading this message. We’re a tiny fraction of the population and we need to stick together. We’re the minority feeding the majority. Divisiveness and animosity doesn’t help us to do our job but rather undermines our purpose. Our sole purpose should be feeding our consumers while ensuring that we are good stewards of our land and animals, regardless of what practices we employ and what standards we adhere to. And so, moving forward, let us try to be open-minded and accepting of others and their practices. Doing so, we all win, consumers and farmers alike. First of all, I’d like to extend my thanks to Dairy Farmers of Canada, and especially to DFC President Wally Smith, for their untiring work representing Canadian dairy farmers’ best interests both in Hawaii in July, and in Atlanta and Ottawa during this round of negotiations. I know that they did their utmost to present our industry’s concerns and reservations about the trade agreement and lobbied unceasingly for the preservation of our supply managed system. And their hard work paid off! Remember, just a few months ago, supply management as a system seemed to be on the negotiating table, and just last week rumours suggested that up to 10% market access was being considered. Thankfully, neither of these two scenarios came to fruition. 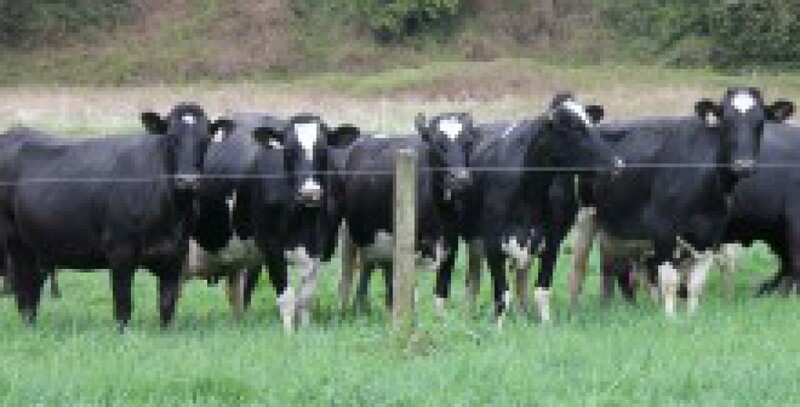 So what does the TPP mean for our dairy industry? Well, I don’t pretend to be an expert, but I’d like to take some time to share my thoughts. •The Income Guarantee Program will provide 100% income protection to dairy, poultry and egg producers for a full 10 years from the day TPP comes into force. Income support assistance will continue on a tapered basis for an additional five years, for a total of 15 years. •The Quota Value Guarantee Program will protect producers against reduction in quota value when the quota is sold following the implementation of TPP. The program will be in place for 10 years. •The Processor Modernization Program will provide processors in the supply-managed value chain with support to further advance their competitiveness and growth. Dairy Farmers of Canada is still assessing exactly what these programs mean, and I’m sure they’ll be forthcoming with that information as it becomes available. DFC President Wally Smith said that he appreciates the government support which has “lessened the burden by announcing mitigation measures and what seems to be a fair compensation package, to minimize the impact on Canadian dairy farmers and make up for cutting growth in the domestic market.” We certainly would rather have emerged from these negotiations without having had to sacrifice any market access, but we’re still thankful that our supply management system has remained intact. While I am grateful that our government will try to ensure our industry’s survival with these assistance programs, it galls me to think that one of the biggest points of pride in our industry is falling: these programs are likely to be viewed as subsidies. We can no longer pride ourselves on being able to produce our milk without government support. And I know that this is beyond our control, but I can’t help but feel that this is somehow represents a decline in our industry’s integrity. If only national food sovereignty was more important to our government, because if it was, we wouldn’t be in this position at all. THANK YOU so very much for your support and encouragement during the last few months. It’s wonderful to know that our work is appreciated and that you understand the benefits of keeping the milk in our grocery stores produced by Canadians, for Canadians. We’re grateful for the actions you took on our behalf: sending letters to our government in support of Canadian dairy, contacting your government representatives directly, and sharing our concerns with your friends via social media. I believe that this outcome is a result of the public outcry at the suggestion of opening our markets to huge amounts of foreign product, and that without your support and participation in our campaign to preserve supply management the final result would have been far more detrimental to our dairy farmers. A few months ago, you showed in an overwhelming manner that you support milk produced by Canadian farmers. In a poll conducted by Environics Research, 89 per cent of you said it was important, or very important, that the milk products you use come from Canadian farmers! We’re so glad you are happy with the product we produce, and we hope that we can continue to count on your support. Thankfully, it is still possible for you to source Canadian dairy products and thus support Canadian dairy farmers. Dairy products that are produced with only Canadian milk are labeled with the 100% Canadian Milk logo of the little blue cow. If your favourite dairy items don’t have this label, contact the processor to ask if it produced with only Canadian milk and ask them to label it as such. Remember, purchasing products made from 100% Canadian milk means that the benefits of that sale remain in Canada: it benefits the farmer and the whole economy. Our farmers rely on many other Canadian businesses to produce milk: feed companies, equipment companies, banks, transportation companies, etc. and so by purchasing Canadian milk, you help to keep these companies in business as well, which bolsters the entire Canadian economy. By buying Canadian, we all win – consumers and farmers alike. What’s not to like about that? I believe that our industry will survive this hurdle. It may not be easy, and it likely won’t be pretty. But now more than ever we need to remain strong and united. We must continue to supply our top-quality milk, produced according to the highest quality and animal welfare standards IN THE WORLD. And we will continue to do this because, really, could we do otherwise? When dairying is in your blood, there simply is no alternative. It’s not what we DO, but it’s who we ARE. We ARE Canadian dairy. And we’re immensely proud of that. I know that you will join me in continuing to fight to keep Canadian dairy farming viable for our consumers and, just as importantly, for the next generation, so that they, too, can become what they dream to be: dairy farmers of Canada.